2018 Jersey Shore Conference - 1st Place! 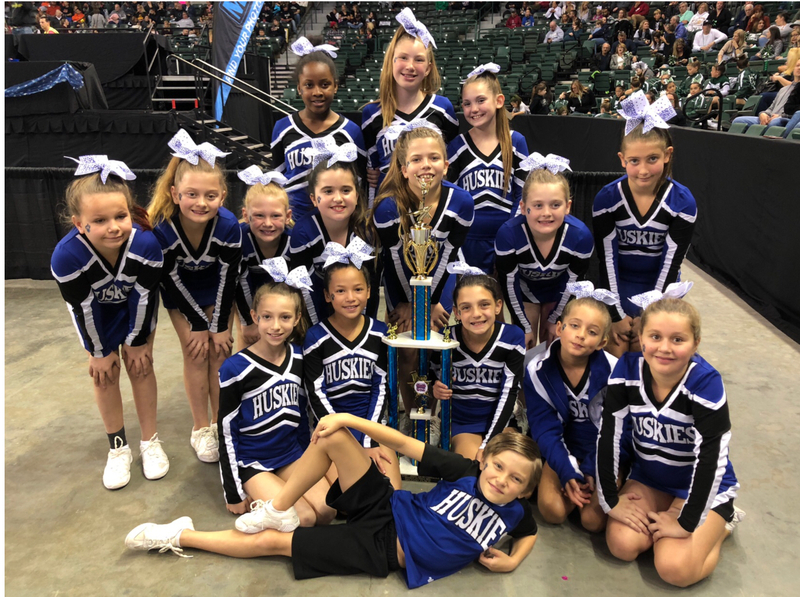 2018 Jersey Shore Conference - 2nd Place & Best Pyramid! 2018 Jersey Shore Conference - 2nd Place! 2017 Jersey Shore Conference - 2nd Place! 2017 Big East Region - 2nd Place! 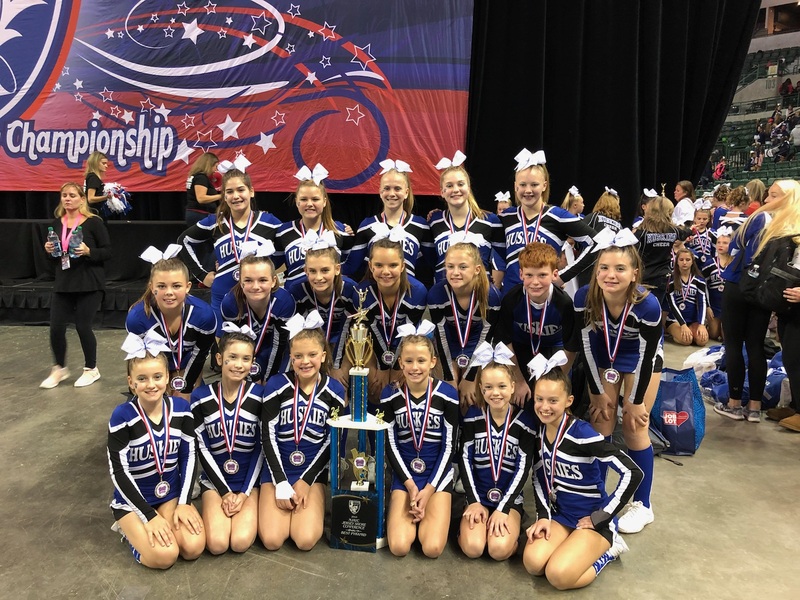 2017 AYC National Competition - 2nd in Nation! 2017 Jersey Shore Conference - 1st Place & Best Pyramid! 2017 Big East Region - 4th Place! 2016 Jersey Shore Conference - 1st Place! 2016 Big East Region - 2nd Place! 2016 AYC National Competition - 3rd in Nation! 2016 Jersey Shore Conference - 2nd Place & Best Pyramid! 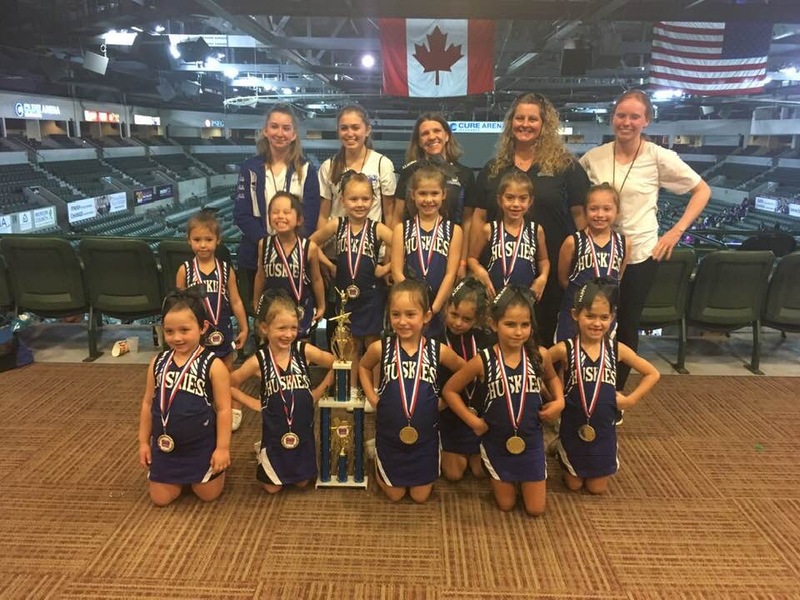 2016 AYC National Competition - 2nd in Nation! 2016 Jersey Shore Conference - 2nd Place! 2015 Jersey Shore Conference - 1st Place & Grand Champions of entire competition! 2015 Big East Region - 1st Place! 2015 Jersey Shore Conference - 2nd Place! 2015 AYC National Competition -- 3rd in Nation! 2015 Jersey Shore Conference - 1st Place & Grand Champions of AM Session! 2015 Big East Region - 1st Place & Grand Champions of all D8/D10 teams! 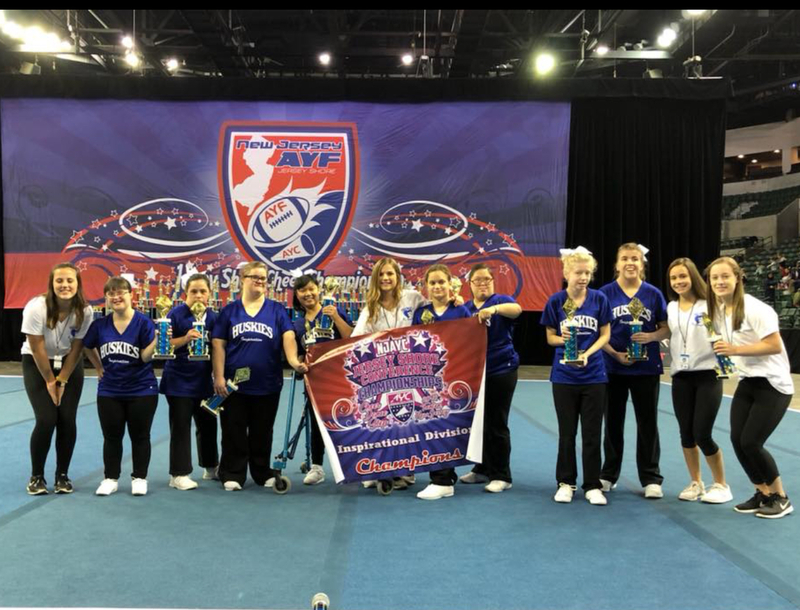 2015 AYC NATIONAL CHAMPIONS & GRAND CHAMPIONS of ALL DIVISION 10! 2014 Jersey Shore Conference - 2nd Place! 2014 Big East Region - 2nd Place! 2014 AYC National Competition -- 2nd in Nation! 2014 Jersey Shore Conference - 3rd Place! 2014 Best Use of Props! 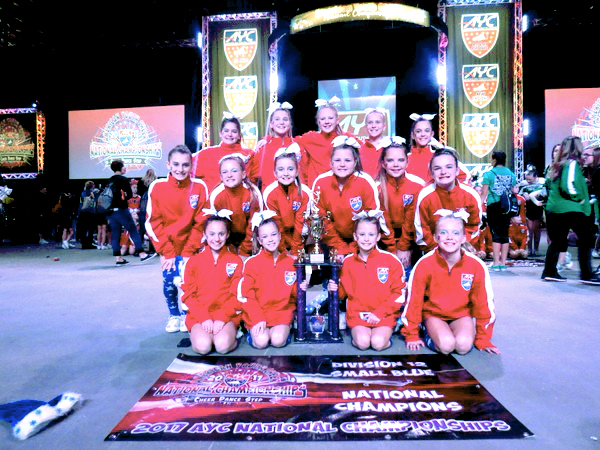 2014 AYC NATIONAL CHAMPIONS & GRAND CHAMPIONS of ALL DIVISION 10! 2014 Jersey Shore Conference - 1st Place! 2014 Big East Region - 1st Place! 2013 Jersey Shore Conference - 3rd Place! 2013 Best Use of Props! 2013 Big East Region CHAMPIONS! 2013 NATIONAL CHAMPIONS & HIGH SCORE of ENTIRE Competition! 2013 Season: We're All in this together! 2013 Big East Region - 3rd Place! 2013 AYC National Championships - 3rd Place! 2012 Jersey Shore Conference CHAMPIONS & High Score! 2012 Best Use of Props! 2012 Big East Region - 2nd Place! 2012 AYC National Championships - 3rd Place! 2012 Jersey Shore Conference - 6th Place! 2012 Big East Region CHAMPIONS!! 2012 NATIONAL CHAMPIONS & HIGH SCORE of morning session! 2010 MVC Large Intermediate Champs! 2010 Voorhees Cheer Competition - 1st Place! 2010 Eastern Region Cheer Qualifier! 2010 Season: One Team, One Dream! 2010 MVC Small Intermediate Champs!